Our second annual Halloween party is quickly approaching and we are busy with preparations. Most of the decorations are in place, we have some great party games ready (my favorite Halloween party game ), and the menu is planned. The next two weeks are going to so busy with both me and Jessica having a lot of things happening at work. Being well prepared is the key to having a great party but you also do not want to make a party so much work that you do not get have fun. An essential for an amazing party is an entertaining playlist. What's a party without music, right? Above is the Halloween party playlist that will be playing on repeat at our party. We like mixing in a few childhood favorites into our playlist to shake things up a little. Even at my age Monster Mash is still a fun favorite to sing along to. Do you know any songs we should be sure to add to our playlist? 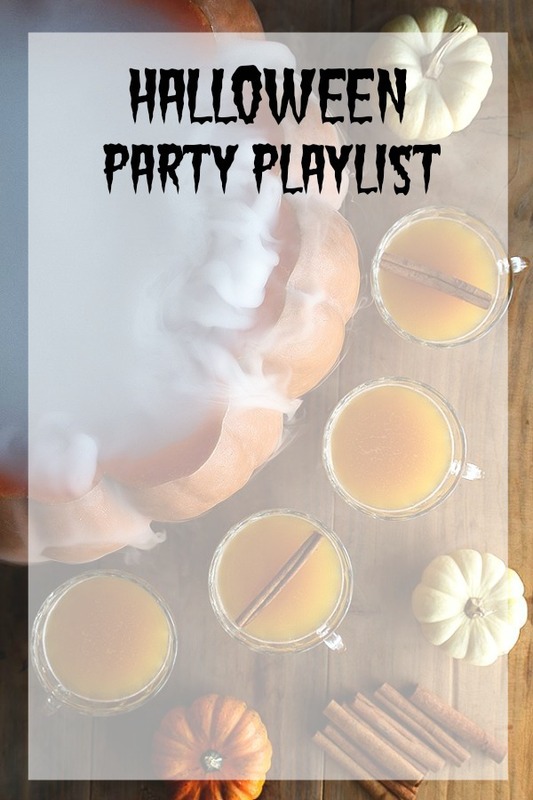 I really needed this playlist because I'm having people over for Halloween :) Thanks!